An almost finished PreBS 20 on the bench. 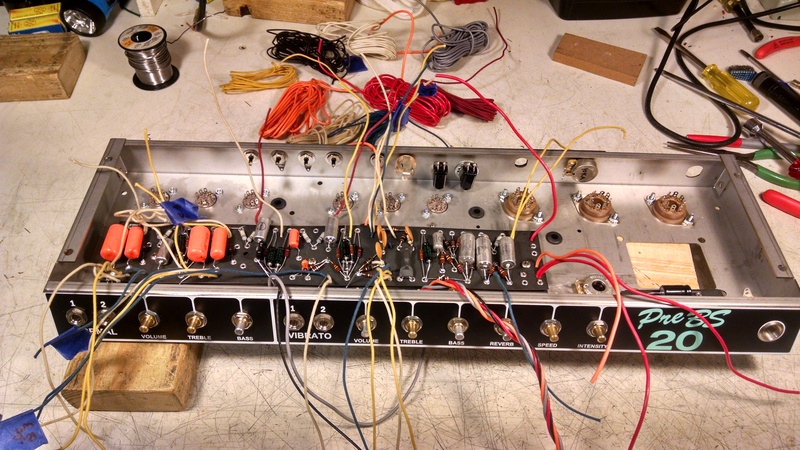 Just needs a power cord, tubes, and testing. Will feature a pshychedelic tie dye grill from artisan Courtanay Pollock. See home page for completed pics! A new Sweet model is in progress. 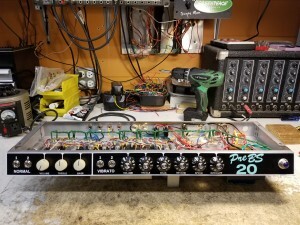 An all tube 30W combo for acoustic instruments, the McKoustic 30, will have a familar chassis size(Princeton Reverb) but with all new circuitry and cabinet design. 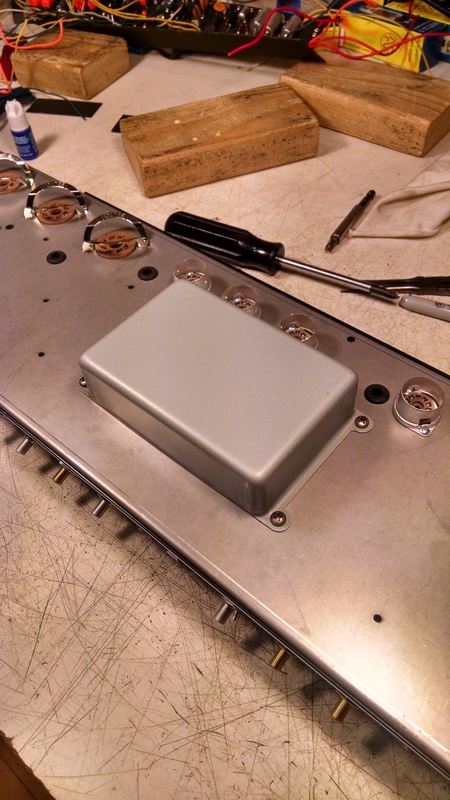 The sealed/ported cab will feature a 10″ full range speaker and some sort of high/higher frequncy driver TBD. The idea is to reproduce the sound of your acoustic instrument(but louder) without the artificial, tinny, cheapness that seems to define acoustically designated amplifiers. Stay tuned, should be ready by march 2018. 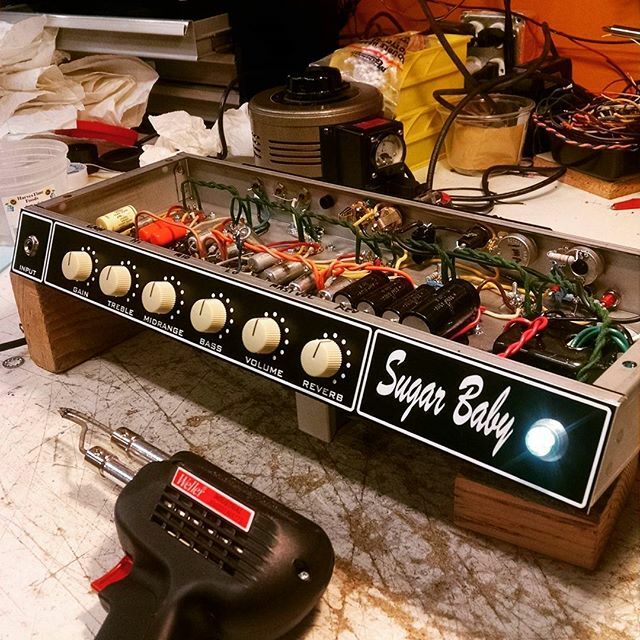 Almost ready to release a new Sweet model the “Sugar Baby.” It will have a gain control, cascading gain stages, tube driven spring reverb, and master volume control for some nice crunch at lower volume settings and serious sustain for rock and blues leads. Should be ready by Sept 2016 if not sooner. 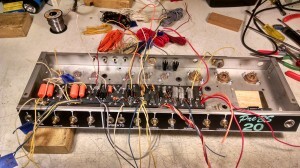 Just to follow up, the amp sounded great and sold but didn’t as much attention as it deserved. 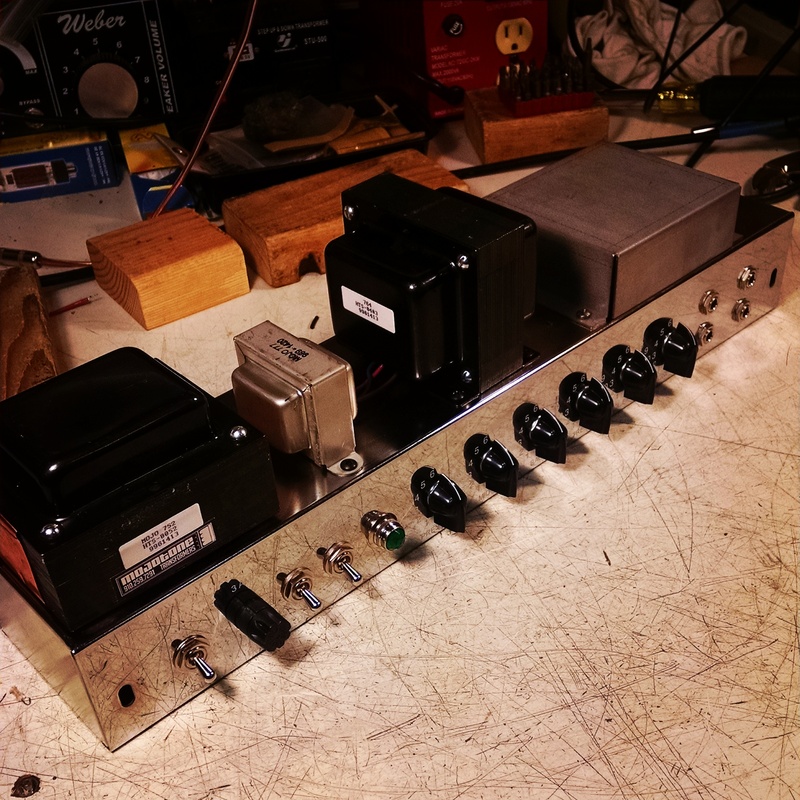 I would love to pursue this model of amp in the future. Contact me if you are interested! 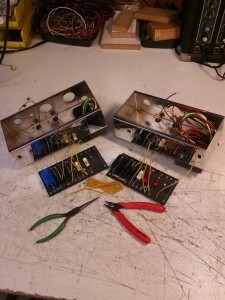 Two new PreBS T5 builds under way. 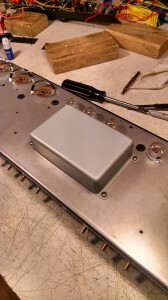 Trying some different caps, speakers, and transformers on this one. 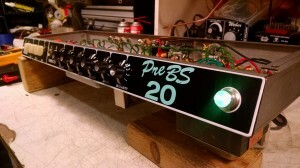 Another PreBS 20 nearing completion. This one will be for sale! Mercury Magnetics OT, Mojotone Vitamin-T oil filled coupling caps, 1×10+1×12 cab and more! 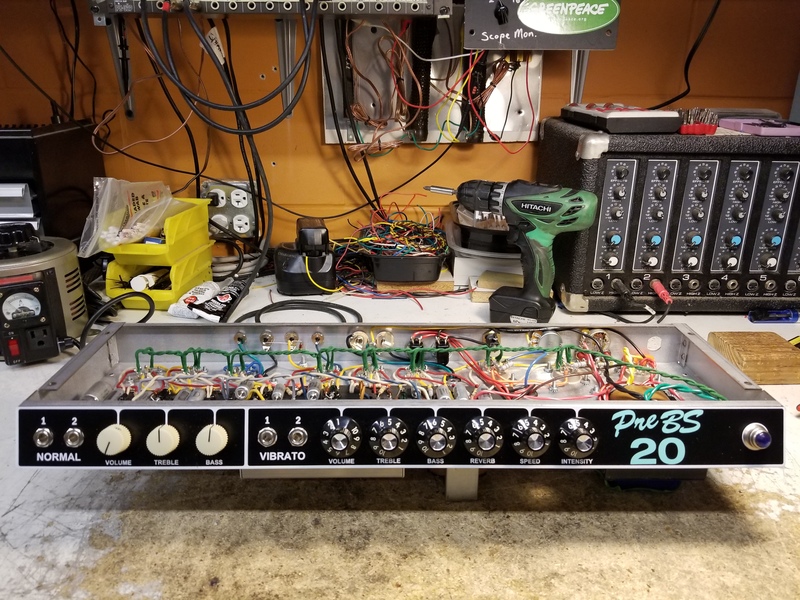 Making progress on this new PreBS 20 build. 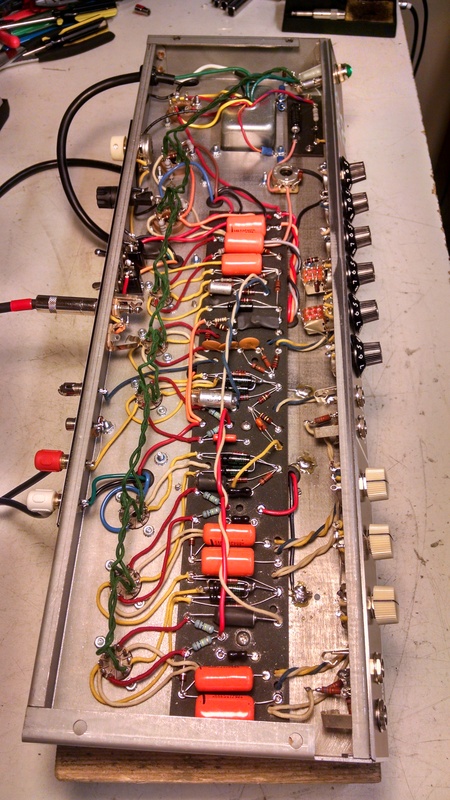 Cap board wired and mounted, ckt board populated, wired and mounted. 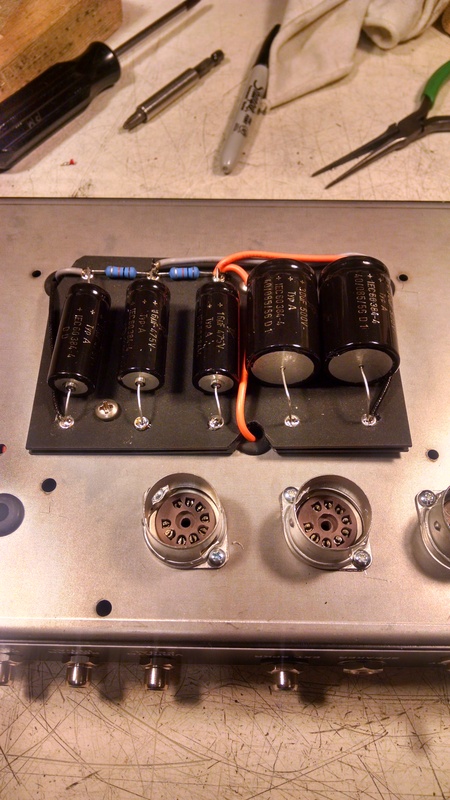 Tube socket and controls pot wiring is next. 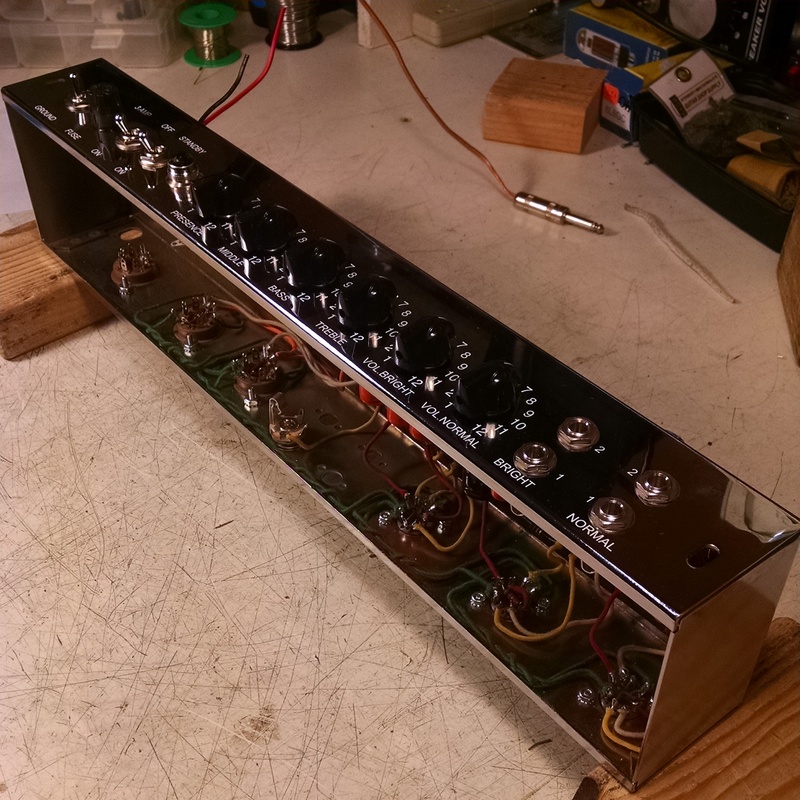 A new PreBS 45T under way here. 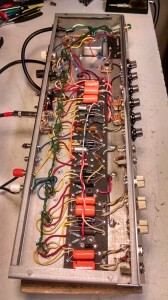 My take on the famous Fender 5F6-A 4×10 tweed Bassman with adjustable bias and a few other circuit tweeks to make it sing. Here you can see the difference in trannsformers between the PreBS 20 and PreBS 20+. 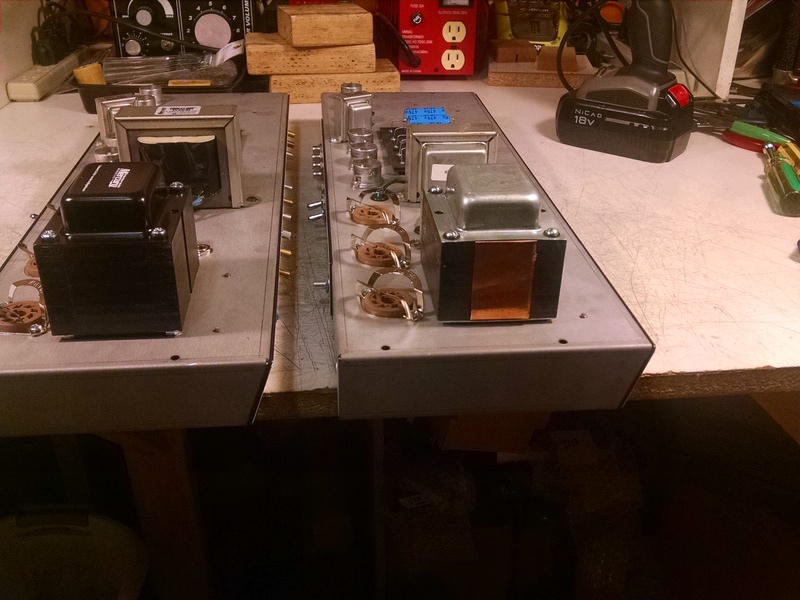 The one on the left is the PreBS 20+ with oversized and multi-tapped Mercury Magnetics trannys and on the right is a stock PreBS 20 with stock Mojotone (Heybor) trannys.